In addition to the myriad of ICE abuses of power during the first 100 days of the Obama administration, the further insult is that the main number for the ICE Office of Professional Responsibility, the office charged with internal investigations to punish ICE agents, is literally "Not in Service," or so the recorded voice says for the number listed for the Office of the Director. (A) a civil aircraft of the United States. (B) an aircraft of the armed forces of the United States. (C) another aircraft in the United States. Section 1 also likely applies because the form that Mark was coerced into signing in North Carolina ended up in offices in Georgia. The statute contains other provisions, but the gist is that unlawfully seizing people and transporting them in planes is kidnapping, and there's no special clause that says ICE agents are immune. Mark was unlawfully seized and transported. It's common sense to insist that the rule of law apply to government officials. Congresswoman Zoe Lofren, Chair of the House Subcommittee overseeing ICE, agrees. Andrew Becker wrote a terrific piece in Mother Jones last week on the deportation of U.S. citizens, and quoting Congresswoman Lofgren: "'There's no jurisdiction for the government to arrest or detain, or let alone deport, citizens. That's otherwise known as kidnapping.'" I spoke yesterday with ICE Spokesperson Barbara Gonzalez, who had a sketchy Executive Summary of ICE actions on Mark Lyttle. I asked her who prepared the summary and Gonzalez said she didn't know. I asked because conversations with various ICE agents indicate that there's a lot of folks trying to point the finger elsewhere, be it the prison, Raleigh, Atlanta, the immigration judge, and of course, they all want to blame Mark, the victim. I thought that whoever wrote this summary might have the narrative shaped by these concerns. It turns out that I was right. Today I received a different narrative. BG: On Sept 2 2008 our ICE officers encountered Mr. Lyttle at Neuse Correctional Institute, Goldsboro, North Carolina. JS: What does encounter mean? BG: I would have to look into that. It could have been through the criminal alien program, where we identify individuals for removal. BG: On November 5, 2008 ICE officers took a sworn statement where he stated he was a citizen of Mexico, that he illegally entered the U.S. without being inspected, and made no claim of U.S. citizenship. Subsequently ICE officers served Mr. Lyttle with a notice to appear. JS: Can you tell me the date on the Notice to Appear and what it says. BG: I don't have that information. BG: On December 9, 2008 an immigration judge ordered Mr. Lyttle removed to Mexico. On December 21, 2008, ICE removed Mr. Lyttle to Mexico. JS: Do you know where in Mexico he was taken? BG: On December 29, 2008 Customs and Border Patrol encountered Mr. Lyttle after he attempted to enter in Hidalgo, Texas They [pursued?] a process for expedited removal. On the same date he was removed to Mexico. BG: On April 22, 2009, ICE encountered Mr. Lyttle after arriving from Guatemala City. Customs and Border Patrol determined he was previously removed and processed Mr. Lyttle for expedited removal. Subsequently he was placed in custody at the Atlanta pretrial detention center. BG: On April 24, 2009, ICE interviewed Mr. Lyttle and obtained another sworn statement from him where he admitted providing false information regarding his citizenship. JS: Do you know where he admitted this and if his lawyer [Neil Rambana] was present. BG: I don't know where. He was in possession of a valid U.S. passport and subsequently released. On Friday, the DHS filed a motion with the court to rescind the order of removal. JS: Do you know why ICE was calling Mark "José Thomas"? BG: I have no information about José Thomas. JS: Do you know why he was interviewed by ICE agents? BG: Barbara Gonzalez does not know why [sic]. BG: I have a sworn statement taken on that day where the name you kept bringing up yesterday appears. Jose Thomas aka Mark Daniel Lyttle stated that he was a national of Mexico and that he was born in Mexico and that he entered the U.S. at age 3 and he wasn't sure where he entered the U.S. He stated he had never been arrested in Mexico but yes in the United States he had. JS: Were these answers typed or hand-written. JS: Do you know who filled in the form, was it Mark or the agent? JS: How is it signed? BG: The signature says Mark Lyttle. JS: Where does it say José Thomas? BG: November 3, there's another record, a sworn statement with the same alien number and signed by Mr. Lyttle where he now says he's a U.S. citizen. BG: A notice to appear is subsequently issued. JS: What does it say? BG: Matter of Mark Daniel Lyttle aka Jose Thomas, November 5th. I signed because I’m thinking to myself... She didn’t even let me read it. She didn’t even let me read the piece of paper. I asked her, 'Can I read this?' I didn’t get chance to read it. She said 'you’re waiving your rights, you’re from Mexico.'" "I felt very intimidated by her. I never knew about those people and it’s all up to them. I signed it because, I mean, I felt like I didn’t have a choice but to sign this paper." In case the context is not sufficiently clear, Mark told me that the agent filled in the form, not him. Why did she do this? The answer may be interesting from a literary perspective but not a legal one. The agent decided that she wanted Mark out of the country, wrote a document that would accomplish this despite his verbal protests against this, and then forced him to sign it when she knew it would accomplish his forced removal from the country. Many other agents and agencies have responsibility for what Mark endured as well. I told Mark that ICE is now acknowledging his sworn statement on November 3, 2008 stating that he is a U.S. citizen. Mark said, "If I signed a statement saying I was a United States citizen then why would you deport me?" Great question! I'd really like to ask that of someone in the ICE Office of Professional Responsibility, if only they had their phone working, or the right number published on the website. 100 days and Obama can't get the watchdogs for the people who are deporting U.S. citizens to answer the phone? This is not just about Mark Lyttle. I know from talking to attorneys across the country and reading court cases of people like Mark arrested for illegal reentry that this fact pattern seems unique only because it's publicly examined here for the first time. I do not believe that when the ICE agent sat across the table from Mark in the Neuse Correctional Institute that this was the only time she filled in a form with false information and demanded a signature of an inmate. And I do not believe that this ICE agent is the only one who has done this. If only the ICE Office of Professional Responsibility had a working phone. I don't want to spend a lot of time on this now, but I do want to say to the folks who claim to have listened to the tape or who know someone who listened to the tape and did not see Mark speak up to the Judge, as he told me he did, the tape may not include all of the events that transpired. "I have talked to Cassidy about this case. This guy's master was a "Mass" master, that is about 30 folks with no relief. There is nothing on the 4 minute tape in which Little [sic] says: "Hey, stop, I am a US Citizen." The I-213, is written up and says that he and his parents are all born in Mexico, notes he claims to be bipolar, and then notes that he says he was born in South Carolina [sic--North Carolina is where Mark was born]." Wait a minute: this person is saying the judge has notes that a person diagnosed as bipolar and who says he's born in the United States is a respondent in his courtroom and then approves a deportation order for that person??? A crowded docket? Even if Mark never said a word, I'm not sure what's so exculpatory for Judge Cassidy about this scenario. Mark has been very specific and consistent about his exchange with Judge Cassidy, indeed about everything that has transpired. Maybe he really spoke with someone else, or maybe it was another time and place, but right now I believe what Mark says, which is that Judge Cassidy replied to Mark saying he was a U.S. citizen by saying he had to go by the paperwork he had, and when Mark asked him what the papers said, Judge Cassidy told him he would have a woman who sounds like she might have been from the Legal Orientation Program send Mark the paper he, Cassidy, was reading. Mark never received this. I realize that people may have seen a tape, in which a judge is in one courtroom and respondents are in another and they're talking to video monitors and the respondent cannot inspect the paperwork in the judge's hand, but I think the jury's still out about whether the tape includes all the exchanges between the respondents and the immigration judge. I spoke with Mark and his mother on Friday, April 24 and wrote about some of Mark's forced travel through Mexico, Honduras, Nicaragua and Guatemala after ICE removed him. Here's what's happened in the meantime. The DHS issued a press release Friday stating it was correcting its databases; as of this morning, not only was Mark still listed in the ICE database as Mexican, he also is listed as being in ICE custody in Atlanta. ICE spokeswoman Barbara Gonzalez points out that the DHS never said when it would finish its updating. I asked her if there was a timeline that DHS had in mind when it issued this statement. She could not provide one. This leads me to conclude that when the DHS says it is updating its records, and there is no time line given, DHS is asserting that it cannot be held accountable for updating its records. Right now Mark is with his brothers Tommy and Brian at Fort Campbell, Tennessee. Mark wanted to stay with his brother, an army officer, because he was not comforted by his attorney's assurances that ICE would stop arresting him and wanted Tommy's protection. Looks like Mark was right. At this point if Mark were stopped and someone ran his name through a DHS database, it is likely he would be arrested. Meanwhile, I made some inquiries of ICE and North Carolina prison personnel to learn how Mark was put into deportation proceedings. What I learned is chilling. ICE is instructing its agents to put together information about Mark's history of mental illness in order to support a story that Mark had told ICE he was not a U.S. citizen, suggesting that Mark is or was mentally incompetent. An ICE agent who does not work for public affairs told me that ICE in Atlanta tasked someone to go through Mark's medical records and pull out all the information on his "psychiatric illnesses." The agent told me that he could see in Mark's file that he was classified as bipolar, something that Mark himself had told me when we spoke on Friday and that I didn't mention because it had nothing to do with him being deported and because the diagnosis is uncertain, as I explain below. Ortiz said, "At the time he did not say he was a U.S. citizen and everything indicated he was Mexican." I told Mark this afternoon what Ortiz told me and Mark was firm, repeating what he'd told me earlier, that he had insisted his name was Mark Daniel Lyttle, that he'd given him his social security number, which he had memorized, told them he was a U.S. citizen, and that he never, not once, said he was Mexican until after the immigration judge issued a deportation order and Mark wanted to get out of the Stewart Detention Center. Just to be clear, there are cases in which an underlying mental illness can wrongfully trigger deportation proceedings, as was the case for someone I identified as Anna in article I wrote for The Nation. Anna, documented as legally incompetent, told a police officer arresting her in Phoenix she was born in France and the foreign birth statement triggered her being sent to the Eloy Detention Center. She also has said that the Pope is her father and JFK is her father, but ICE did not deport her to the Vatican or call Caroline Kennedy. Eventually, relying only on the sworn statement of someone who was legally incompetent, an immigration judge issued Anna a deportation order, which was not executed because France would not accept her so Anna is presumably wandering around southern Arizona deprived of her citizenship rights and subject to being thrown into detention at any point. A passport application in her files states she is born in Tehran, so Anna had better pray that the U.S. continues to have poor relations with Iran, or she might find herself in the Middle East. In the event, I have spoke with Mark for a couple of hours. He was completely lucid and also sharp on the timeline and details of what happened. I hope there are tapes on file for the immigration hearings because I am confident they will confirm Mark's story. Jeanne, 60, lost her job today as a rehab aid at a local hospital because she was allowed only one absence during her 90-day probationary period, set to end May 13, and she used up a second one on Friday when she went to pick up Mark from the Fulton County Jail where ICE was holding him. This is just one example of the myriad of consequences that ICE misconduct causes to innocent parties, especially family members. Other examples are U.S. children of detainees being held in foster care before being adopted while their parents are either still in detention or deported, family members who are in advanced stages of illness denied the comfort of loved ones while on their death beds, U.S. citizens having their relatives, often legal permanent residents, "disappeared" by ICE, something that Jeanne also experienced, although part of the separation period is due to the prisons and not just DHS. Jeanne hadn't seen Mark since July, 2007, when she dropped him off at a group home in North Carolina. Mark, one of three special needs siblings she adopted, in addition to two to whom she gave birth. Mark had some problems taking care of himself due to either mental illness or drugs he'd been prescribed to help treat it, discussed below. Jeanne was moving to Kentucky and there wasn't room in the Saturn for her daughter, Mark, and their belongings. The plan was that once she was settled, she'd come back and pick him up. She spoke with him on the phone a few times, enough to learn he was unhappy, but when she tried to make arrangements to find him in August, he was gone. Turns out he'd been arrested for trespassing -- Jeanne said he'd broken a rule in the home -- and he was sent to Jacksonville Jail. After that Jeanne lost track of him, "I sent him a letter with everyone's phone numbers, but I got it back - 'Refused.'" In fall and winter, 2007 "his brothers walked the streets looking for him, everybody was looking for him. I checked the obituaries." On Mother's Day in 2008 she called a state hospital where Mark had once stayed, "The attendant remembered me and said, 'I'm not supposed to do this, but I'll get on the computer and check all the hospitals.'" No sign of of Mark. The same day, her son David, 29, said, "'Mom, let me try.' He sent the letter to same place at the jail and he enclosed the letter I got back. When I went to visit David in Winchester, Virginia, he showed me the manila envelope -- 'Refused'-- and we thought Mark had refused it. I thought Mark felt I left him behind, that I just left him [when I was moving to Kentucky]." Jeanne was crying, "We kept trying to find out where he was," and she told me about a family friend who was a lawyer and had hired a private investigator to help Jeanne find her son, but then the attorney had a stroke. It turned out that Mark had never received any of their letters. Mark's absence haunted her family. Jeanne said that two weekends back she was visiting her son Tommy, 29, in Fort Campbell. They were talking about where Mark might be, speculating if he could be in Atlanta. Tommy tried calling some places, I'm not sure where, and Jeanne could hear him say, "I'm looking for Mark Lyttle." But no news. Until Friday, April 17. That's when Jeanne received a phone call from Tommy, who said he was calling her about Mark. "I asked [Tommy] if he'd found [Mark] and he said, "Mom, I didn't find him, he found me," and explained how Mark had called him from the U.S. embassy in Guatemala, the first leg of Mark's trip home. If the embassy staff in Guatemala could believe Mark, and pay for an international call to his brother Brian, then why couldn't government employees in the United States exstend Mark the same courtesy before shipping him out of the country? Jeanne described her response to Mark's deportation by his own government, "I'm a strong Christian woman, but let justice be served. This beats all. I thought I was dreaming, or seeing a made-for-TV movie. How many others are out there?" Mark and his family freely discuss his mental illness diagnoses. Jeanne, who repeatedly mentioned her faith in God, said that perhaps it was a blessing that this happened. "Mark told me he was 'traumatized,'" revealing to Jeanne not only his distress, but a mental and emotional acuity that Jeanne had never seen in her son before. "I'm so shocked he's so clear-headed," she told me. Jeanne explained that a while back a psychiatrist in Virginia had called and said "he wasn't supposed to be calling me" but he had treated Mark and when he took him off the medication, Mark seemed fine. In other words, it was the medication that was causing Mark's disorders. The psychiatrist said that she might have grounds for a lawsuit against the places that had been medicating him so heavily. Again, I was reluctant to pursue this topic in this particular case because it seems a distraction from the main issue: ICE wrongfully deported someone. However, because his family is discussing Mark's psychological condition with the media and because ICE appears to believe that it is more defensible to deport someone because of mental illness than racial profiling, I thought I would supplement the record. Mark's response to what happened as far as I can tell from our phone conversations is the response of any sane person: he's traumatized, terrified of law enforcement, especially ICE, and happy, very, very happy, to be back with his brothers, including Tommy, 29, who took this picture of Mark this afternoon. Mark Lyttle, 31, born in Salisbury, North Carolina, was exhausted and traumatized, but he insisted on talking tonight. He's also very angry. He'd just been released this morning from the Fulton Jail in Atlanta after the Department of Homeland Security (DHS) violated his dignity and liberty one last time and arrested him Wednesday at the Atlanta Airport on the charge of illegal re-entry, a charge predicated on alienage. Mark is a U.S. citizen. In the language of the DHS Mark was "ordered removed" as a noncitizen on December 9, 2008. That's a bureaucratic euphemism for what really happened: Mark's government kidnapped him, rendered him stateless, dropped him off in Mexico, and four months later, after he was kicked out of Mexico to Honduras, and from Honduras to Guatemala via Nicaragua, bought him a Big Mac before arresting him again in the United States. Mark's mother, Jeanne Lyttle, 60, an occupational therapy assistant who raised Mark and his three special needs siblings after adopting them, also had something to say. (Jeanne's husband died a year and a half after the adoption.) They spoke to me on Friday evening, April 24, 2009 from Jeanne's home in Kennesaw, Georgia. On October 26, 2008, Mark was supposed to be released after serving 85 out of a 100 day sentence at the Pasquotank County Jail in North Carolina for a misdemeanor. Instead, a woman from Immigration and Customs Enforcement (ICE) told him that they'd figured out his real name was Jose Thomas, that he was Mexican, and that he was going to be sent to Mexico. Mark said, "The prison gave me my release papers and the next thing I know, I'm in a white minivan and they drive me all the way Raleigh. Then after that they fly me all the way to the ACC and I stayed there for a month. They were calling me Jose Thomas. They were trying to say that's my real name. I told them my name is Mark Daniel Lyttle, I was born in North Carolina." Mark started speaking rapidly, saying a phrase that he repeated at several points, and I felt the urgency that, shockingly, was belittled and ignored in his encounters with the people sending him away, "My mother's Jeanne Lyttle, here's my social security number, my brother's in the army, please call someone!" He told this to several ICE agents. He told this to William Cassidy, the immigration judge who ordered him removed on December 9, 2008. Mark told this to the U.S. border patrol in Texas after he was dumped in Mexico. "No one checked. No one believed me." Judge Cassidy ignored Mark's pleas. Judge Cassidy could have tried to call Mark's mother; a DHS attorney could have looked up Mark's social security number. And anyone from ICE could have tracked down Mark's brother who was on a base in Kentucky. No one did a thing. Jeanne said, "Why didn't they look up his fingerprints, his social security number, why didn't they follow through on anything?" I asked Mark if anyone told him that he could appeal the decision. He replied, "I was going to appeal until I found out that it would be six months to two years before I'd have a chance, and even if I did that, they still wouldn't believe me." He found the Stewart Detention Center unbearable. A detainee from El Salvador told him, "'You need to fight these people.'" Mark replied, "I don't want to stay here as long you have" and decided to take his chances from Mexico, even though the Mexican detainees were warning him not speaking any Spanish was going to make it tough. "They told me, 'your biggest problem is going to be the language.'" Mark was dropped off somewhere near the Texas border with between five to ten pesos, Jeanne said. The only piece of identification he had was a deportation order for Jose Thomas. Mark told them his full name, that his mother was Jeanne Lyttle, that he was born in North Carolina, and his brother was in the army. He asked them to call his mother, his brother, to check his social security number. The border patrol guard looked at his paper and said he "was illegal." Mark, defeated, headed south and was wandering around Mexico until he found some missionaries who gave him shelter and fed him after he hadn't eaten for two weeks. 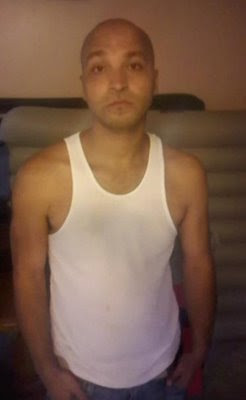 At some point, two months after being kidnapped by ICE, tried in a fake court, rendered stateless and dropped off in foreign country where he did not know a single person and could not speak the language, Mark crossed paths with the Mexican police, who confiscated his deportation order for Jose Thomas and put him on a bus to Honduras. When Mark couldn't produce a passport for the border guards in Honduras, they "drove me three hours to San Pedro and left me in a jail with robbers and killers." Jeanne added, "A woman jailer named Sonia would spit at him and stick her tongue out. She hit the doors while he was sleeping so he couldn't sleep, and told two inmates to take him out so they could shoot him. One of them was bilingual and told Mark what was happening and he wouldn't do it." After a month and two days, the Honduran immigration officials wanted to ship him to Guatemala, but for some reason the van stopped in Nicaragua, and then Mark was dropped off in Guatemala. The Guatemalan police pointed him the direction of the U.S. embassy. Once they spoke with his brother and were convinced he was a U.S. citizen, the embassy staff bought him a hamburger at the McDonald's across the street. Jeanne, herself from Ireland and adopted, ended our conversation by saying, "I love this country so much. I cry every time "The Star Spangled Banner" is done. This tears my heart to pieces that they could do this to him. How many others are out there we don't know about who are stuck places?" Mark said he was going to stay with his brother in Kentucky because "I'd feel safer. I'm so disgusted with ICE. He's a high ranking officer. I fear these people now because they're messing me up. My lawyer [Neil Rambana] says you don't need to worry now, but I don't trust them. It was a real passport I had, but they still detained me again." UPDATE Monday, 4/27/09 5:25 EST--At 2:15 this afternoon I sent a waiver signed by Mark and witnessed by his brother authorizing DHS to review with me the government's account of his deportation. Barbara Gonzalez told me that in 2 hours she would discuss the file. At 4:30 she told me she had forwarded the waiver and was waiting to "hear from our attorneys." NEXT INSTALLMENT: What Mark's brothers and mother were going through after Mark was kidnapped and they didn't know where he was. Mark's family first learned he was in Guatemala when he called his brother, Tommy, last Friday from the US Consulate. The consular officer told Tommy that his adopted brother, born in North Carolina, was trying to return to the United States. The family contacted Rambana and he faxed a copy of Mark's adoption papers indicating his U.S. birth. That was good enough for the U.S. consulate to not only issue Mark a temporary U.S. passport, but to help him obtain a plane ticket for his return. But DHS only compounded their earlier injury once Mark arrived. Instead of apologizing for their enormous mistake, DHS at the Atlanta airport accused Mark of illegal reentry and took him into custody. Rambana paraphrased what Mark was told, "Customs and border patrol say you have an order of deportation; you're reeentering after you've been deported." Rambana has spoken to ICE agents in Atlanta and left messages, and has also spoken to the DHS desk attorney, who has the authority to dismiss charges and order Mark released. DHS has ignored the legal presumption of US citizenship conferred by a US passport and falsely arrested Mark. So far no one has responded to Rambana's persistent requests for Mark's release. As Neil and I were getting off the phone we talked about how odd it was that this sort of case had long stopped seeming unusual. I told him about some conversations I'd been having with a criminal attorney in Phoenix (will post soon) about the border patrol down there tearing up the birth certificates of Mexican-American teenage boys and judges deporting them, and then prosecutors charging them with illegal reentry. Neil said ruefully, "The worst part is that it's so outrageous that it's happening so often and beginning not to seem so outrageous." UPDATE: Friday Morning, 4/24/09--Barbara Gonzalez was responsive. She called the ICE office in Atlanta and the DHS desk attorney to ask them to look into Mark's detention. Rambana sent me a note this morning saying that DHS is now acknowledging that Mark is a U.S. citizen and they are going to release him. I will be speaking shortly with his family. UPDATE: Friday Noon, 4/24/09-- Mark is home with his mother. More tomorrow. As I've written before, the only means of preventing US citizens and legal permanent residents from being wrongfully detained and deported, and not to deprive them of Constitutional rights to their citizenship and legal residence, is to provide everyone in deportation proceedings an attorney and the full due process protections of the U.S. Constitution. Under the U.S. Constitution, it is never legal to deport a U.S. citizen by mistake. Any laws, regulations, or DHS or DOJ practices with this effect must be stopped immediately, including the mandatory criminal alien deportation law. In some cases the agents involved should not only be fired, but charged with kidnapping and false imprisonment. One final note: Last year, when I was writing an article for The Nation about US citizens being deported, I sent ICE public affairs spokespersons Brandon Alvarez-Montgomery, Viriginia Kice, and Lori Haley documents indicating that Rene Saldivar, a US citizen, was being wrongfully detained in Eloy, Arizona. I was testing their statements that ICE did not knowingly detain US citizens. ICE failed. This time, although DHS in Atlanta ignored Mark's passport and arrested him, the ICE public affairs person in DC, Barbara Gonzalez, followed up on my inquiry and Mark was released. It seems that DHS is finally acknowledging that its agents do arrest US citizens, the first step to ending not only the wrongful detention of U.S. citizens, but the archaic practice of banishment. The problem of US citizens being deported is a headline grabber, and that's unfortunate unless the complexities and traumas of the inane U.S.-Mexican border, indeed of any border, are understood as the main narrative driving the story. The first deportations from England to the colonies were not criminals but vagrants, English nationals who were "caught" outside their parishes of birth. The thought was that if left uncontrolled, the free movement of peasants and paupers would overwhelm the cities. The barbarity of punishing people for moving across a national border will strike future generations as ridiculous as it would seem now to ship people out of San Francisco for the crime of moving there from Omaha, Nebraska--a distance much further, in many ways, than the distance between Mexico and the southern United States. The pseudo-scientists have done it again: successfully pitched an inane argument dressed up as "new research" to a middle-brow audience of journalists and editors always happy to unveil a "controversial" fake discovery legitimating racial and ethnic genetic inequality. One of the co-authors has made equally absurd claims before, arguing, the LA Times writes, that "some unidentified pathogen prompts a hormonal imbalance that makes babies more likely to become gay." Henry Harpending and Gregory Cochran wrote a book that ignores a ground rule of statistics, not to confuse correlation with causation, especially when the correlation is likely to be entirely spurious. [Cochran] was struck by the fact that so many of the diseases involved problems with processing sphingolipids, the fat molecules that transmit nerve signals. This seemed an unlikely coincidence. Danger, Will Rogers, danger! There are hundreds, even thousands, of possible attributes associated with Jewish stereotypes, so it is not surprising that Cochran hit on one that yielded a correlation with some genes that have a higher but still rare probability of existing among Ashkenazi Jews. Their paper was turned down by peer reviewed journals and is a laughing stock among the scientific community. Though the Times makes this all clear, even publishing the researchers' claims as talking points gives them too much credibility. If the Times is not going to turn its pages over to people debating whether one's astrological sign may cause more rare cancers, only to have real scientists demolish this assertion, because why waste the space to promote a nondebate, then why are they allowing themselves to be used to stage, or rather, create, this particular "controversy"? The real information here is that absent scientific evidence it exists, some people still prefer to inhabit a world based on geneticized racial superiority: it is this fascination with the racist fantasy, be it one of attraction or repulsion, that allows these lame cliches to persist. The only evidence in support of their research is that the scientists are non-Jewish, hence confirming their theory's prediction that they lack the Jews' "abundance of brain power." A 1982 DOJ regulation requires immigration courts be open to the public, except in a limited number of circumstances determined by immigration judges. It turns out that the government is systematically violating this regulation, something I learned when I was recently turned away from immigration courts in Arizona detention centers. I later wrote about the excuses for this given by the EOIR. Here's how the government has responded in the meantime. In the last week, apparently in response to inquiries on immigration court access policy by a Tucson reporter Claudine LoMonaco and myself, the EOIR changed their Immigration Court Practices Manual that the EOIR spokesperson Elaine Komis referenced to me the day I was turned away. On March 27, 2009, the day I called Komis from the detention centers, the Manual stated: "The news media shall notify the Office of Legislative and Public Affairs and the Court Administrator before attending a hearing." On April 9, 2009, the Manual stated: "The news media is strongly encouraged to notify the Office..."
EOIR spokesperson Susan Eastwood told me they made the changes because "some people had mistakenly believed that 'shall' meant 'must' and that was never our intention." EOIR made their underlying intentions explicit, Eastwood told me, because "immigration courts are open to the public." EOIR realized that requiring the media notify their office before attending a hearing was inconsistent with this. DHS responses to inquiries about its unlawfully restricting access to the immigration courts has been something like Orwell meets Kafka. Access means no access; documents on the web stating their policy means no documents on the web stating their policy; publicly available information means obscure lengthy documents that contain no relevant information for attending the immigration courts. I replied with a number of questions. Here are the questions and replies or no replies obtained in conversation with Barbara Gonzalez, an ICE spokesperson in Washington, D.C.
Gonzalez prefaced her comments by saying that a "new special advisor" Dr. Dora Schriro, appointed by Secretary of the DHS Janet Napolitano, is "looking at issues dealing with detention" and "making recommendations," and that immigration court access now will be among the areas of her examination. Gonzalez responded on the telephone by largely reading responses to the written questions I'd sent Picard on April 3; some of my questions were not addressed. I have requested a copy of the statement from which she read and have received a reply. When I'd asked about receiving this information in writing earlier, Gonzalez told me she planned to provide it to me on the telephone because this was "more personal." I asked again and she said she was reading from notes and would answer me further if I had follow up questions. I will be following up on the written questions she did not address yesterday but in the meantime, I wanted to post what I have. Again, my questions were in writing. Her replies are verbal. JS: The big one: How can DHS justify having a higher level of security requirements for entering immigration court proceedings in its facilities than those required by prisons and jails where court hearings are also held and the public is allowed access without advance screening? Can you please tell me who authorized this policy and can you direct me to any written government statement other than your email where it appears? BG: "Entrance requirements to open court hearings are determined by specific requirements by detention facility and are consistent with national detention standards." Gonzalez then referred me to the Operations Manual ICE Performance Based National Detention Standards, initially drafted in 2000. Gonzalez repeatedly mentioned this document's section on Visitation as evidence that ICE had made its access policies for visitors attending immigration courts available to the public. And yet, this document NOT ONCE mentions immigration courts, much less rules for public access to immigration courts in detention centers, but focuses on rules for attorneys and family members who want to meet with detainees. At one point the document states: "A live voice or recording shall provide telephone callers the rules and hours for all categories of visitation. " None of the detention centers I have called that house immigration courts, including those at Eloy and Florence, avail callers of information on access to the courts. Clearly public visitors to immigration courts are not a category contemplated by these centers and the claim that they are open to the public is demonstrably false. In addition to this DHS document, Gonzalez also referred me to the Executive Office of Immigration Review Immigration Court Practice Manual. This document states under the heading of 4.9 Public Access: "Hearings in removal proceedings are generally open to the public"; none of the exceptions listed refer to courts being situated in detention centers. compliance with additional security restrictions may be required. For example, individuals may be required to obtain advance clearance to enter the facility." First, as Dan Kowalski, immigration lawyer in Austin, Texas, has informed me, these manuals do not have the force of law; if they are inconsistent with regulations, as this section is, then they require revision--as the EOIR recently undertook in changing its language on journalist access. When I asked Elaine Komis and more recently Susan Eastwood about the contradiction between courts being open and access requiring "advance screening" they both said that EOIR was only stating DHS rules. Not only is this practice violating the regulation, it is not one that is at all transparent. Leaving aside the tension between open courts and advance screening, I asked Gonzalez if she thought it reasonable for a member of the public to find minutiae in a hundred plus page document they have no reason to know even exists. BG: "It's no different than if you visit somewhere you've never been. You as a member of the public need to do your homework and figure out the rules, what you can bring and can't bring; for instance, cell phones and laptops are not allowed." First, one can read the EOIR statement and still have no way of knowing the rules for showing up at immigration courts in a particular detention center, including a requirement of advance screening. Second, even when I tried to comply with the advance screening requirement by contacting the ICE agents at the Florence Detention Center and leaving several messages, no one returned my phone calls. It was impossible for me to pursue obtaining advance screening. Third and most importantly, planning to go to a publicly accessible court hearing should not require the advance planning of going to the Arctic Circle. It's one thing to go back to the car and drop off a cell phone, something else to return to the car and wait two weeks, which is what I was instructed. Say you read about a deportation hearing in the newspaper and want to attend, or an attorney notifies a reporter a few days in advance that a client has an interesting case the public should know about. Or say that the DOJ wants to keep their judges on their toes by not knowing when someone might drop in. None of these expectations of courts being open to the public are met by an "advance screening" requirement. Indeed, EOIR itself has stated that advance notice by journalists violates the regulation requiring public access. If advance notice violates this rule, then surely advance screening does as well. JS: Can you please give me a list of the "secure locations" where ICE is not allowing the public entrance into immigration courts without a written request? No list was provided. Gonzalez said the detention centers make these assessments individually and its the public's responsibility to somehow figure it out. JS: What measures, if any, has ICE made to alert the public about their limited access to immigration courts in "secure facilities"? Gonzalez referred me to their standards and the EOIR rules. JS: Who decided not to include a reference to the immigration courts on the signs at Eloy? Why is there no sign indicating the presence of immigration courts at Eloy? JS: Why isn't a search and metal detector sufficient for providing "minimum safety precautions"? Whose security is being protected by this policy of not allowing the public into immigration court proceedings without advance notice? The first part of the question was not answered. Gonzalez said the security was for the detention center detainees, judges, employees, and members of the public. JS: How exactly is this advance notice to be given and to whom? JS: Where does ICE state its "visitation requirement"s? Gonzalez referenced their Performance Based National Detention Standards, but again, that is simply wrong. JS: How long in advance and to whom is this request to be delivered and in what form? to the immigration court? Shouldn't judges expect that at any moment the public might scrutinize their proceedings? What if someone in the public learns of the hearing without time to submit documents for ICE scrutiny? Gonzalez told me that advance screening was consistent with public access. I asked how a two week wait could accommodate this requirement. Gonzalez said, "Who said anything about two weeks?" and implied that I had arbitrarily selected a time frame to make DHS look more unreasonable than it really was. I told her that was the time for advance screening given to me at Eloy, and asked her if she thought that was unreasonable. Gonzalez shifted gears and said two weeks for screening was consistent with public access. JS [Picard's reply mentioned that DHS had to "check credentials"]: What credentials are necessary? How is this consistent with the regulation specifically saying the immigration courts are open to the public, without any credentials necessary? JS: What does this require? What would be grounds for failing this clearance? Gonzalez concluded by reiterating that the policy on access is under review. Meanwhile, every day, in violation of the law, hundreds of people are having the most important fact of their lives--the country of their legal residence--determined in secret hearings by judges who are political appointees ideologically averse detainee defenses and unafraid of public scrutiny. Many thanks to Dan Kowalski for sending on the EOIR update to me and for providing legal insights on the regulation requiring public access to immigration courts! The following summarizes key findings from my recent research on U.S. citizens who have been detained, deported, or convicted of immigration crimes predicated on alienage. I am compiling this in the context of other narratives from government officials, immigration attorneys, criminal public defense attorneys, and US citizens for submission to a peer-reviewed journal but thought this information should be publicly available in the meantime. The reports on the US citizens detained in the Eloy and Florence areas are based on my personal inspection of more than 2,000 individual case files maintained by the nonprofit Florence Immigrant and Refugee Rights Project. They provide legal support for pro se representation to all detainees held in Florence or Eloy and maintain files for approximately one-third of the detainees. Between March 23 and March 25, 2009 I went through all the case files for Florence detainees for 2008 and all the cases files that were classified as possible terminations for detainees held in Eloy from 2006-2008. The FIRRP attorneys are responsible for much appreciated access to their files, and for putting up with a stranger occupying their conference room for three long days, but they did not direct my research in any way. In addition to the results below, this research yielded many other disturbing findings I will describe in future postings. --I saw files for at least 65 US citizens who were held in the Eloy Detention Center in Arizona between January 1, 2006 and December 31, 2008. --I read files for at least 15 US citizens who were held in jails or ICE-run detention centers in nearby Florence, Arizona between January 1, 2008 and December 31, 2008. --One percent of the cases in FIRRP files were for US citizens. If this rate holds for the United States, then about 10,000 US citizens have been put into removal proceedings since 2003. --In at least five cases, DHS trial attorneys appealed the immigration judges' orders terminating proceedings on grounds of US citizenship. In each of the cases the BIA affirmed the order terminating the deportation proceedings, but the delay added months to years to the time the US citizens were held in detention. --In an additional five cases that have been previously unreported in the media, US citizens who had produced birth certificates indicating birth in Arizona, Colorado, Missouri, or California were held as unlawful immigrants in detention centers in Eloy or Florence. --There are many other cases in which individuals with proof of being citizens by birth are receiving adverse judgments by immigration judges and BIA judges who are writing decisions that defy law and evidence. I saw documents in a file for a 17 year-old who was born in Colorado and raised in Mexico. When he returned to the United States with his birth certificate, a border patrol guard tore it up in front of him and told him it was fraudulent. He told the kid, Michael, not his real name, that he could dispute this by being handcuffed and brought to a detention center, or he could sign a document stipulating he was a Mexican citizen and be released. Go to jail with scary, mean guys who just tore up your birth certificate or sign a get-out-of-jail-notsofree card? The kid chose the latter. Michael tried returning again, was caught, and this time decided to stick it out. The immigration judge relied on his statement of Mexican citizenship signed under duress and ignored the three inch thick file documenting his birth in the United States, including a birth certificate, a photo from when the kid was about 8 years old in which you can see the exact same birth certificate in his hand, and a hospital report on his newborn reflexes taken several minutes after birth. Michael has been removed to Mexico and stripped of his citizenship rights. Today's LA Times article states: "'ICE does not detain United States citizens,' said spokesman Richard Rocha, adding that agents thoroughly investigated people's claims of citizenship. 'ICE only processes an individual for removal when all available facts indicate that the person is an alien.'" Since in some cases, the DHS attorneys are themselves withdrawing the notices to appear, this statement is demonstrably false. 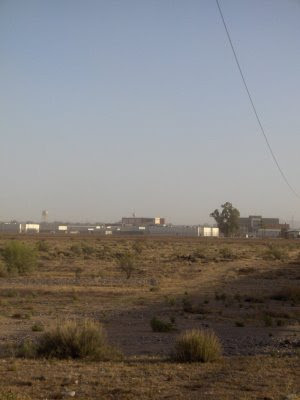 For instance, one guy was held in Eloy for two and half months in 2007 before the trial attorney filed a motion to withdraw the removal order on grounds of the detainee's US citizenship. I have documented similar cases and I know from conversations with DHS officials that they are also aware of this. I have additional information on US citizens in removal proceedings--I've documented over 160 cases in recent years of individuals whose claims to US citizenship have been affirmed by an immigration judge, USCIS agent, jury, or federal judge and yet who at some point were detained, deported, or convicted of immigration crimes predicated on alienage. Also, there are the potentially viable claims that cannot be pursued even as far as Michael's, who actually had a birth certificate. The attorney was advising the client on a pro se basis and knew that an indigent felon didn't have the resources to track down the necessary documents to show his father's residence and work history in the United States. Okay, that's all the new stuff for now. More to come. I was hoping that some of the information above would have appeared in today's LA Times story about the detention and removal of U.S. citizens. The article by Andrew Becker and Patrick McDonnell, U.S. citizens caught up in immigration sweeps mentions just one new case of a natural-born US citizen held in detention and downplays the documented evidence of many others in the public domain. I'd shared some of the information above with one of the reporters; I know from our conversations he had additional evidence of US citizens held in detention that also was not included. Newspapers have space constraints and cannot include all available information about any particular subject;and yes, people who are interviewed and have their comments omitted will be predictably grumpy. No news there. But what seems wrong is for the article to confuse space constraints with the absence of evidence, as occurs in this statement: "No agency tracks such incidents, so statistical totals are not available." This is gobbledygook and also incorrect. Since when does a "statistical total" from counting require an agency? What does it tell us about reporting standards that government reports are equated with evidence when it is the very same government that is illegally holding its own citizens? --The Nation "Thin ICE" (6/23/08). Last week I wrote about being turned away from immigration courts in Eloy and Florence, Arizona, even though federal law requires immigration courts be open to the public. At first it seemed this might be a mistake on the part of overzealous guards. But it's not. According to Elaine Komis, Public Affairs Officer and Congressional Liason at the Executive Office for Immigration Review (EOIR), the EOIR has been aware for quite some time that the public has been prevented from entering immigration courts in some parts of the country, and the EOIR is happy to go along with this. Even the architecture of the buildings suggests secrecy: the sign outside says "Eloy Detention Center" but includes no reference to the presence of immigration courts in the facility. The person who is usually super fast and largely helpful in responding to my queries suggested that she would have an answer. On Tuesday, March 30, in response to my following up on the query I'd written last Thursday, Komis wrote: "Please know that I’m still researching this issue with EOIR’s program experts….I’m hoping to have a response soon…Elaine"
The long-awaited response from the program experts arrived yesterday: "Regarding your query, please contact the Department of Homeland Security (DHS). DHS/ICE Public Affairs’ HQ telephone number is 202-732-4242….Elaine"
This is of course absurd. I'd already heard first-hand the DHS policy, as I reported last week: it wouldn't allow the public into its buildings without "preapproval" that required a criminal background check and would take two weeks. At the 202 number they told me to contact Lori Haley, an ICE public affairs officer in California. She wrote back and copied Virginia Kice, an ICE public affairs officer, and Vincent Picard; Haley's note told me to talk to Picard, an ICE public affairs officer in Phoenix, who had already told me he was not aware of what the DHS policy was and would get back to me. But he didn't. Also disturbing is that the EOIR is not disclosing the name of the person who is making the decision to keep the courts closed. In response to my query on this point, Komis said I would have to submit a FOIA query and sent me the contact information for the right office. Didn't someone run for president with a promise of transparency? Didn't some high-placed official in the Obama administration, revoking the old FOIA policy, call for openness? Attorney General Eric Holder, now that you've saved a rich, corrupt, Republican, ex-Senator from prison due to prosecutorial misconduct, what about making sure that tens of thousands of people who cannot afford an attorney at least have judges whose work is open to public scrutiny? In fact, what does it tell us about these judges that they are not themselves protesting these conditions? If they cannot guarantee the respondents in their courtroom the most minimum protection of an open court, then how can we even pretend that these same judges will provide them other due process protections? One more question: why are the same people who were unhelpful in providing information about immigration law enforcement under the Bush administration still in place under the Obama administration? President Obama isn't using Dana Perino for his press secretary, so why are Lori Haley and Virginia Kice -- two DHS public affairs officers who have been spectacularly unhelpful and apologists for the worst ICE abuses -- still the public voices for immigration law enforcement?